Arrival at Jayapura Airport in West papua in the Morning. Short transit and flight to Wamena. After lunch visit the local market. Afterwards transfer to Baliem Valley Resort. Kurulu MummyIn the morning, one-hour trip to Jiwikia, in the middle of the Baliem Valley. Start of a one-hour uphill hike (approx. 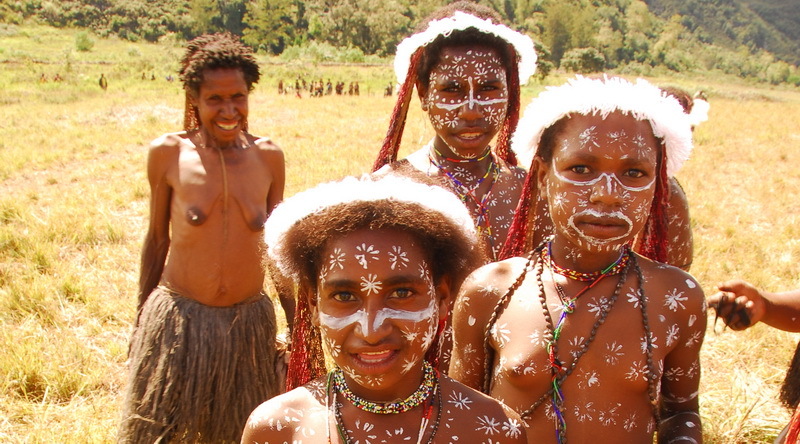 1,000 feet altitude difference) through stunning mountain rainforest to the traditional salt spring of the Dani tribe. Local women dressed in traditional tribal clothes will accompany us and show us their ancestral salt production techniques. After the walk down we will take a picnic lunch at the foot of the mountain. 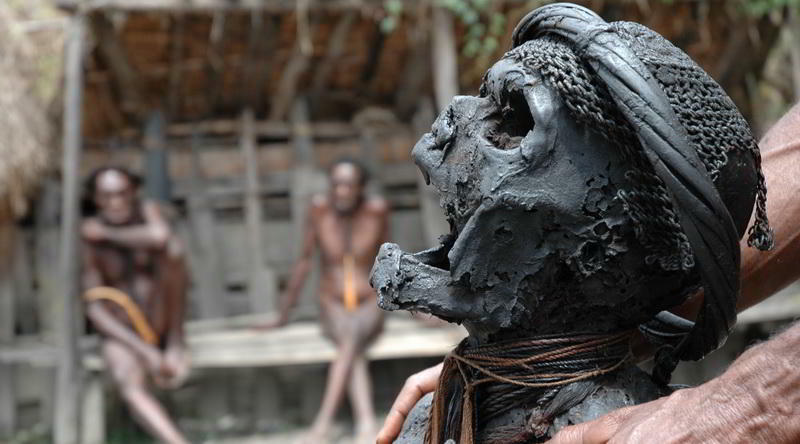 We will then walk to the nearby Kurulu village where you can admire the ancient mummy of the famous Dugum clan. Afterwards, the women show us how they process the brine they extracted from the spring. We will see more quaint and picturesque Dani homesteads. 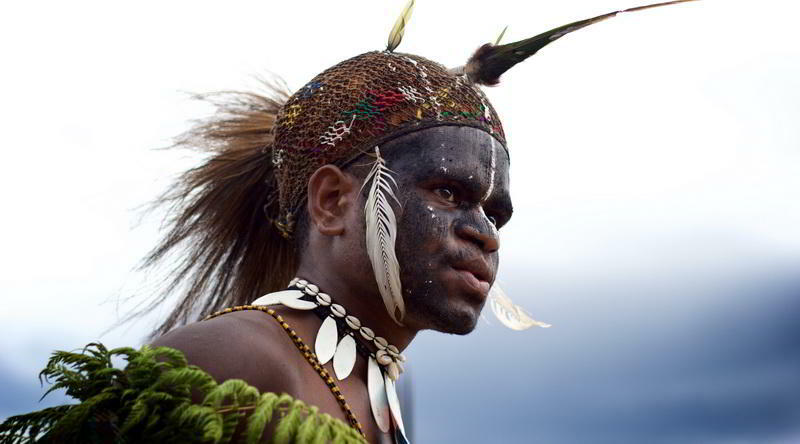 Wherever we go, friendly Papuans offers their arts and craft, weapons, and all kinds of curiosities for sale. Return to the resort in the afternoon. 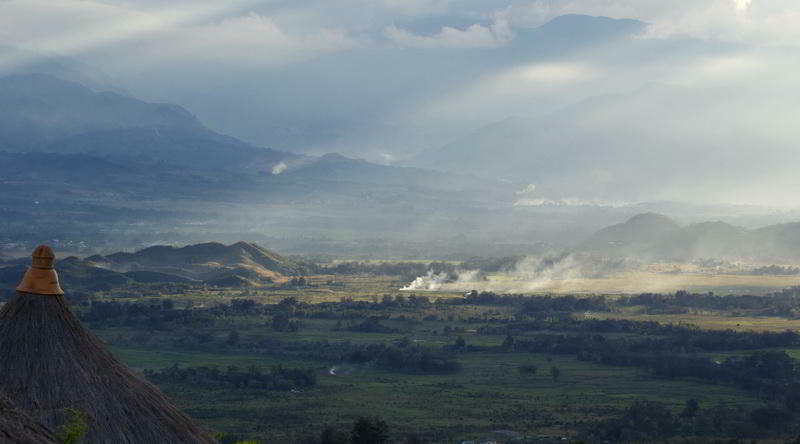 Baliem ValleyIn the morning, drive to the southern Baliem Valley past Wamena. By the village of Sogogmo, not quite 2 miles outside Kurima, the road ends. 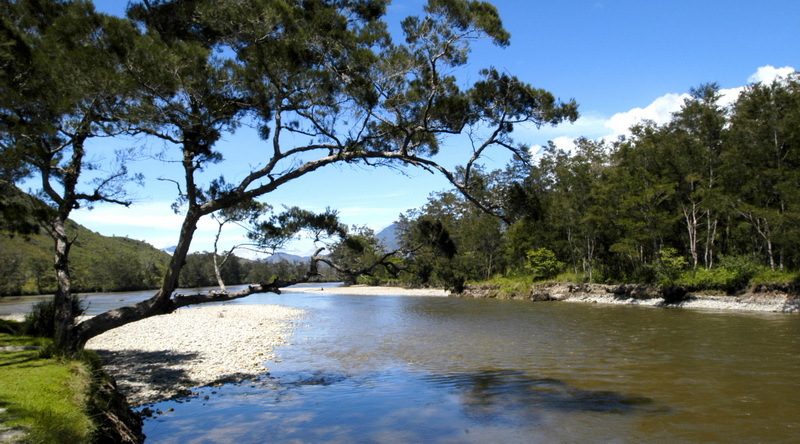 This is where our hike along the huge Baliem river starts. First we cross the roaring Baliem river on a traditional suspension bridge. 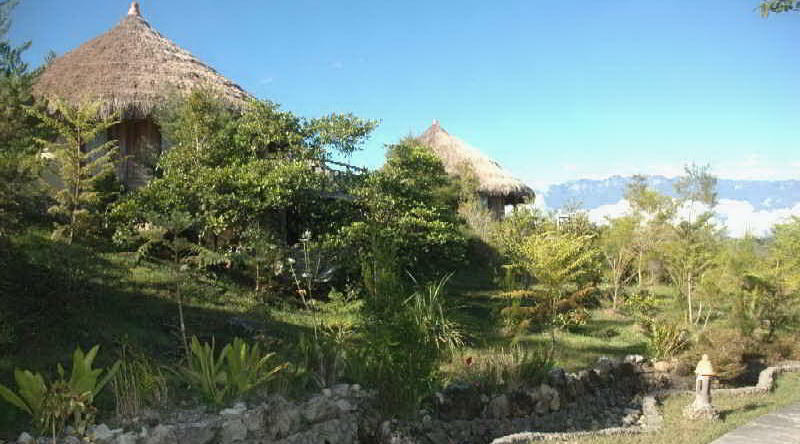 We continue through romantic Dani settlements with their terraced fields and wild sugar cane groves. Throughout the hike we enjoy magnificent views of the river and the narrow valley. Around noon we get to the church square of Seinma, where we eat our picnic lunch surrounded by stunning scenery. Outside Kurima we cross the river again on a wild and romantic suspension bridge. To return to our vehicle we need to cross a few side valleys. There will be many unique photo opportunities today. We get back to the resort in late afternoon. People of West PapuaAfter breakfast drive to festival ground in Wosilimo/Kurulu dirstrict. The opening ceremony will be held there. Return to the resort in the afternoon. Baliem Valley DaniAfter breakfast drive to festival ground in Wosilimo/Kurulu dirstrict. Return to the resort in the afternoon. Baliem Valley ResortIn the morning, drive to the Siepkosi church. From here we set off on an easy hike to the Pugima Valley. On the way there we pass the area where the Yuan River comes to the surface in a big cave full of stalactites and stalagmites. The expansive and fertile Pugima Valley is densely populated, with large gardens and fields cultivated by the highland Papuans. We visit a homestead that houses what is probably the only pottery in the valley. In very humble conditions people create the most beautiful clay objects – many of which are a permanent fixture in the resort. Around noon we reach the Baliem River in the Wesaput region, where we have our outdoor picnic lunch. Before we get to our vehicle we cross the river on a large suspension bridge. Drive back to the resort through Wamena, where we have time to do a bit of shopping. Baliem Valley DaniBreakfast at the resort. Drive to the festival grounds for the last time. 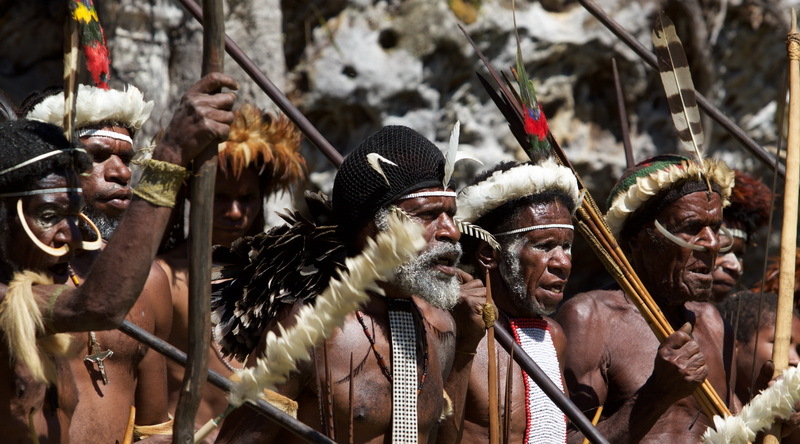 There will be a colorful parade with all participating tribes. Later return to the resort. 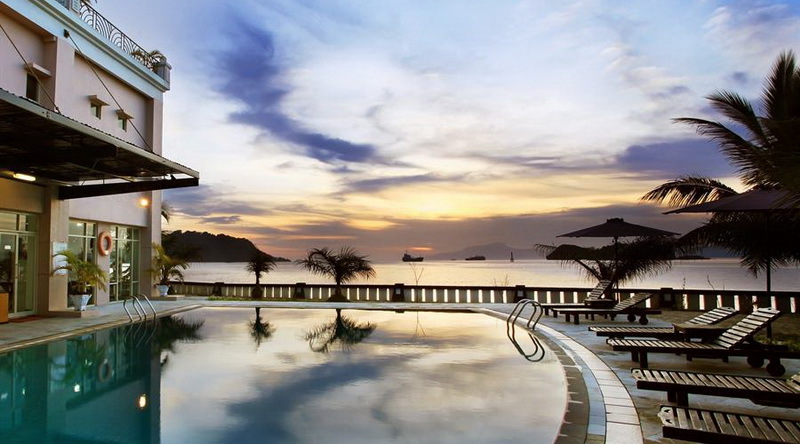 Swiss-Belhotel PapuaIn the morning flight to Jayapura. Transfer to city hotel. Later sightseing tour including visit to Hamadi Beach. Overnight in Jayapura. Breakfast at hotel. Moring free at leisure until airport transfer. Important information for traveler: Outside of highly touristic regions like Bali there is only a limited touristic infrastructure available. Regular flight connections, restaurants and hotels (all classes from simple to high end) are limited. Flight cancellations and delays are quite common. Please don't expect amenities like warm water, air-conditioning and even comfortable beds at all hotels and homestays during the round trip. This applies especially outside of bigger cities. - Low difficulty (1/5): Easy tours with no special physical demands.